Houston, Are You Ready For The Jayhawks? The Jayhawks are coming into the NCAA men's basketball tournament hot with their sights set on Houston. When the NCAA Men’s Final Four was last held in Houston five years ago, it had the storyline of two basketball mid-majors — Butler and VCU — that navigated their way to Space City. But in the end the title was won by a traditional power: Connecticut. Whether or not the UConn Huskies return for another shot at winning in Houston will be determined Saturday night in Des Moines when they take on the top-seeded Kansas Jayhawks in the second round. The Huskies’ 2011 title came under the now-retired coach Jim Calhoun and Kevin Ollie has since taken over. After Friday’s first-round victory over Colorado, 74-67, Ollie has the distinction of keeping the Huskies undefeated (7-0) under his watch. Ollie guided the Huskies to the championship two years ago, then failed to make the 68-team field last year. The Jayhawks moved into the second round with a 105-79 victory over Austin Peay of Clarksville, Tennessee, but second half sloppiness didn’t leave a good taste in the mouth of coach Bill Self as KU prepares for the UConn. “(We) certainly fouled way too much and didn’t guard nearly as well as we need to guard,” said Self. Those words aren’t to be taken lightly. All you have to do is go back to the 2011 title game. Against Butler, it might have been one of the most ugly, mouth-gagging title games in recent history. But Calhoun after the game took great lengths to talk about how beautiful it was because of the UConn’s defensive effort. Sure, KU has won 14 in a row as it appears that everything is clicking. But all it takes is one flat game, one that can be dictated by a defensive-oriented team like the Huskies, and the dream of a national championship can be shattered. This 2016 Jayhawk team is driven by the failures of the last two years to get out of the NCAA tournament’s first weekend. Hopes were destroyed last year in Omaha by Wichita State, which also won Friday against Arizona to advance to the second round in Providence, Rhode Island, and in St. Louis two years ago by Stanford which fired its head coach this week. If the Jayhawks get out of this weekend with a victory over UConn to reach the Sweet 16, get ready, Houston. Brace yourself for another wave of supporters from Kansas City heading down there to spend money. Right there with the Royals fans who found a ticket to the ALDS games and the Chiefs fans who witnessed two victories in Houston: the first in the season opener and the second, and most significantly, the playoff win to break a post-season victory drought that stood since 1994. Of course, you can’t rule out the rivalry between Sporting Kansas City and Houston Dynamo. Soccer fans in Kansas City have had their heart torn out at the expense of the Dynamo. But this year, Sporting has former Dynamo All-Star Brad Davis on their team. Houston, we have no problem. The countdown is underway. Three more victories for KU and we have lift-off toward your city. Starting with the UConn farewell on Saturday night. Greg Echlin is a sports reporter for KCUR 89.3. When the NCAA basketball tournament begins today for the top-seeded Kansas Jayhawks, chances are they’ll successfully move on to the next round. A No. 1 seed has never lost to a No. 16 seed. But if the Jayhawks are upset along the way in a bid for their fourth NCAA title, it's not just KU’s season that will come to an end. This tournament will be the finishing touch on 32 years of broadcasts by Bob Davis. This fall, the three area major college football teams—Kansas, Kansas State and Missouri—haven’t provided much to cheer about. That is, unless you think a bowl game for a team with a 6-6 record grabs your attention. 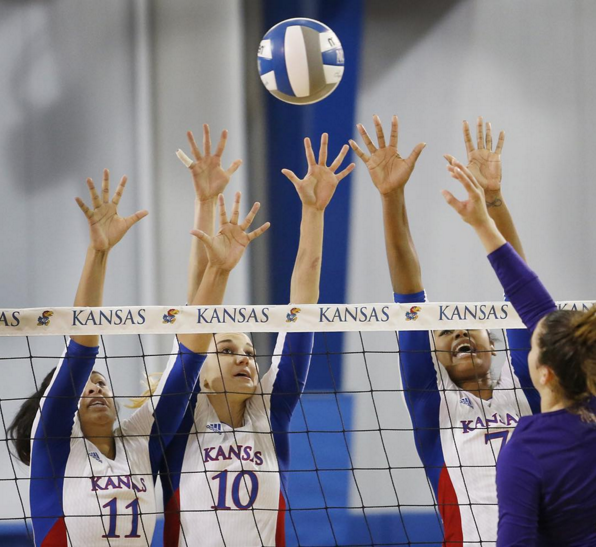 But there’s a sport that’s been a hidden gem in the Kansas City area—volleyball. In sports, everyone is equal: Train hard and the strongest will win. But are sports really played on an equal playing field? A local thinker says they aren't — and you can see it from Pop Warner to the Super Bowl. We explore the intersection of race, sports and business.